Landlords and property managers understand the importance of tenant screening to secure the most qualified applicant for your rental property. 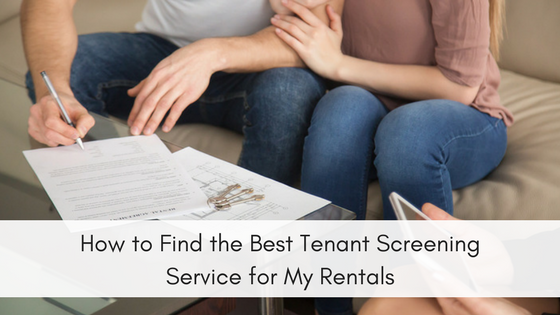 Failing to properly screen your rental applicants can result in significant loss of income due to late or unpaid rent, property damages, or an ugly and expensive eviction. Establishing standard screening criteria helps landlords and property managers set themselves up for a positive rental experience between themselves and their tenants. There are two important traits an experienced landlord looks for in a prospective tenant – the ability to pay rent on time and the ability to care for the property. We’ve put together a list of behavior or renter qualities that signal red flags that managers, investors and landlords need to pay attention to during the application process that could be a sign for potentially risky tenants. Bad Credit, history of evictions and a negative criminal record are obvious red flags when reviewing applications for your rental property. Bad Credit – Reviewing your applicants credit history and debt obligation can give you an idea of their ability to pay rent on time, every time. Eviction History – If your tenant has a history of evictions, you should not let them live in your rental, especially if they have multiple evictions on their eviction report. Evictions are time consuming and puts you at risk of losing rental income during the process. Criminal Record – Landlords can legally deny an applicant based on their criminal record if their past crime demonstrates a lack of respect for property or safety of your current residents. Landlords cannot however have a blanket policy to deny any applicants with a criminal record, according to the Fair Housing Act. 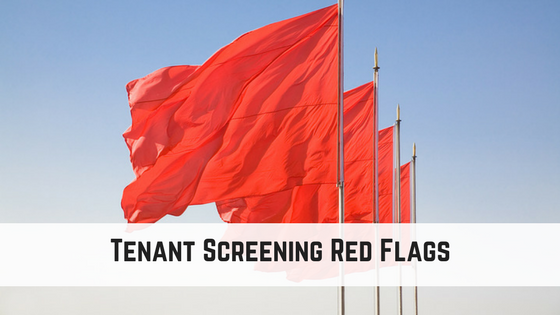 Housing providers can access tenant screening reports, paid for with a rental application fee, to discover these obvious red flags. Tenant screening reports typically include credit reports, criminal background report, eviction history reports, and social security number validation. 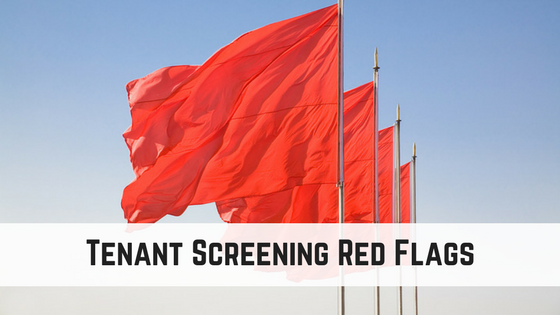 Beyond standard reports that expose real information about an applicant, there are some other subtle red flags that landlord should be wary of during the application process. Screening starts during the first point of contact between you and your perspective applicant. Do they follow the instructions outlined in your vacancy ad? Did you ask them to drive by before contacting you? Did they call you when you asked for a email? Did they disturb the current tenants when you explicitly asked not to? How your applicants act during their first interaction with you demonstrates their professionalism and willingness to pay attention to details. A good landlord will begin taking mental notes of behaviors that triggers warning signs for a potentially problematic tenant. Complaints about a Rental Application – Most qualified tenants understand that part of the renting process involves some sort of application. A tenant with nothing to hide will be happy to provide personal information to move the forward with an application to secure your rental property. Anyone who questions a landlord’s need to verify employment, credit, and references might be concerned about uncovering something bad. Blanks or Mistakes on the Application – Serious applicants should treat their rental application like a job application. Just as mistakes and empty spaces would put someone low in the applicant pool for a new hire, the same should be true for rental applicants. A misspelled street name or inaccurate reference phone number can demonstrate negligence but it could also be an attempt to mislead a landlord. Similarly, if your applicant left parts of their application blank, it might signal that they aren’t serious about getting approved or they don’t want you investigating further because they have something to hide. Hesitation or Resistance about providing their Social Security Number – With all the hype around identity theft these days, some paranoid individuals are extremely resistant about providing their social security number. But experienced renters understand that credit checks are part of the rental process and credit is only verified with a social security number. A qualified tenant should be pleased with your thorough screening criteria as it demonstrates your value in finding the best renters. Family member address – While there might be legitimate reasons for an applicant to claim they are currently living with a family member, they could be hiding the true identity of their past landlord. It is also not uncommon for people with poor rental histories to stay with family members or use them as a landlord reference. Verifiable Landlord Reference – The best way to receive an honest landlord reference about an applicant is to ask questions about their previous tenant’s renting behavior (not about their personal behavior). Did the tenant have a history of late payments? Did the tenant terminate their lease early? How much of the security deposit was refunded? Late payments, disrespecting lease terms and forgoing the entire security deposit are big red flags for poor tenancy. Moving Too Often Finding long term tenants is landlords dream, so paying attention to your applicant’s moving history can signal a short term tenancy. Applicants that have more than 3 previous addresses in the past 5 years should warrant further investigation. Are they hard to please? Is it difficult for them to hold a steady job? While there are several red flags that might make you hesitant about approving an applicant to live in your rental property, it is always important to stay compliant with the law. Landlords and property managers must provide legitimate reasons for denying a rental applicant if asked. They must also follow regulations outlined by the Fair Housing Act and apply the same screening criteria to every applicant. 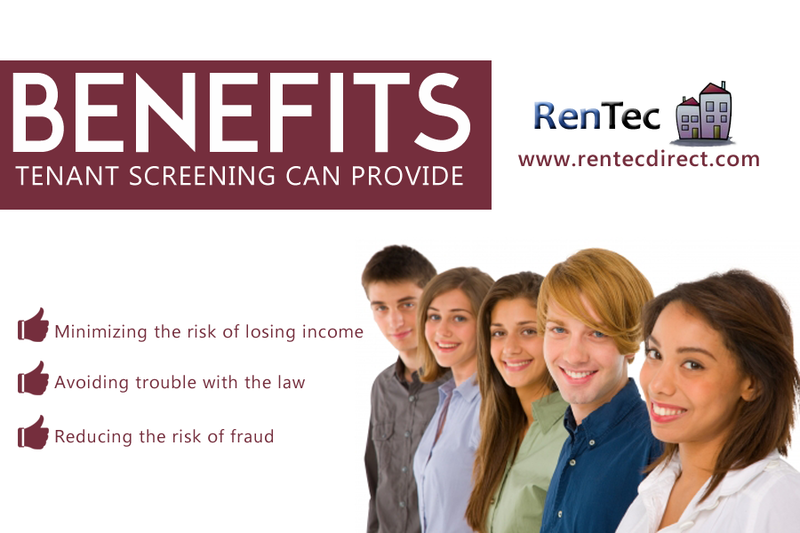 One of our favorite topics on the Rentec Direct Blog involves tenant screening – you can find lots of information on understanding screening reports, tenant interviews, and rental resumes, within the Rentec Direct archives. Setting a rent amount based on a tenant’s credit rating is a little bit of a tricky situation, since every state has different regulations about what is legally acceptable – this might be why it’s challenging to find a direct answer to your question. It’s best to consult a lawyer that specializes in landlord-tenant laws for your state. To offset the risk when accepting tenants with a less than stellar credit score, some landlords choose to require a higher security deposit that can cover the cost of unpaid rent or damages. Again, it is important to double check with your state’s laws regarding the maximum amount of security deposits you can legally collect. Great points. Especially liked the part about how well an applicant does or does not follow direction/instructions. Good sign of future problems or lack thereof. Screening a tenant is one of the most important and crucial job of a property manager upon which the trust of landlord towards a PM company depends.Once the landlord get satisfied with the tenant then only s/he can sustain with PM company.The information provided above to make that process done is awesome and really very helpful for the new companies in this industry.